Posted by geoconger in Church of England Newspaper, Immigration, The Episcopal Church. The Presiding Bishop of the Episcopal Church of the USA, the Most Rev. Katharine Jefferts Schori, has applauded President Barak Obama’s executive order giving amnesty to over 5 million illegal aliens in the United States, but warns the president’s actions are not enough to resolve the problem. “Too many families have lived for too long continually worried about parents being separated from children, wage-earners and caregivers from those who depend on them, and unable to participate fully in their communities and the nation’s economy,” she wrote, adding that “Permanent and comprehensive reform of our broken immigration system through congressional action is still urgently needed, but the President’s action is a constructive step toward a system that honors the dignity and intrinsic value of every human being.” She said she will use her office to work with the government to “press for implementation of the President’s plan as quickly, fairly, and inclusively as possible. The President’s plan is not perfect. Some deserving persons and families are excluded, meaning that additional work lies ahead.,” Bishop Jefferts Schori said. The amnesty announced by the president will not take effect until next year. Republicans in Congress have vowed to stop the order, stating they will block funding for its implementation. Posted by geoconger in Anglican Church of Australia, Church of England Newspaper, Immigration. The prime minister’s plans to settle asylum-seekers arriving by boat in Australia in Papua New Guinea as was “politically driven, based on popular myth, and inhumane” the Archbishop of Adelaide, the Most Rev. Jeffrey Driver said on 19 July 2013. Under an agreement signed on Friday with the Papua New Guinea government, asylum-seekers arriving by boat will be sent PNG for processing and those judged to be refugees will be settled in PNG. Mr Rudd said his government would “make no apology for the decision we’ve taken”. The Australian government sought to end the trade in immigrant trafficking he said, which saw smugglers load unsafe boats with desperate immigrants. “These folk are merchants in death and their business model needs to be dismantled, part of this policy response is to do just that,” he said. “This policy plays to the myth that somehow boat arrivals have ‘jumped the queue’, but in the disorderly and dangerous world of displaced people there is often simply no queue to jump. People do what they can to save their own lives and the lives of people they love,” the Archbishop said. The Australian government should take “strong action against people smugglers”, Dr. Driver said, but added this plan penalizes the refugee, not the smuggler. Posted by geoconger in Get Religion, Immigration, Press criticism. Le Figaro, Le Monde and Libération are France’s newspapers of record, the Presse de référence. While the national edition of Le Parisien, Aujourd’hui en France, may have a larger circulation, I believe that these three best represent the voices of the French establishment: Le Figaro, the center right, Le Monde the center left, and Libération the left. Yet French newspapers, like the French, are different from their American counterparts. The New York Times’ mantra “all the news that’s fit to print” which expresses the American concept of newspaper of record does not work for these publications. Nor are they written in the classical liberal style of Anglo-American reporting that places a premium on “fair and balanced reporting”. These three, along with most all French newspapers, are advocacy newspapers. They begin with a partisan stance on an issue and report on the news through that lens. This article in Le Figaro is an example of European advocacy journalism. The story published on 20 Oct 2012 entitled « Des identitaires occupent une mosquée de Poitiers » reports that a group young French nationalists, or nativists occupied the sight of a mosque under construction in the city of Poitres. They unfurled a banner with the phrase 732, Génération identitaire — a reference to the name of their organization and the date in which Charles Martel defeated a Moorish army that had invaded France — halting the expansion of Islam into Europe. Before I dive into this article, I want to say I am not so much interested in the events in Poitres but in the reporting on the events. What I see in this story from a center-right newspaper on a religio-political topic is a typical example of advocacy reporting. The article is Le Figaro‘s first report on the incident and is framed to show the newspaper’s dislike of Génération identitaire and their politics. It begins not with a description of events, but with a condemnation of the group by Socialist prime minister Jean-Marc Ayrault. The who/what/when/where/why are cited in paragraphs two, three and four with the report that a mouvement d’extrême droite (extreme right) had occupied a mosque under construction in protest to the « l’islamisation de la France ». Jean-Marc Ayrault a «condamné fermement» samedi l’envahissement du chantier d’une future mosquée par une soixantaine de militants qui protestaient contre «l’islamisation de la France». Trois organisateurs ont été placés en garde à vue. Une soixantaine de manifestants du mouvement d’extrême droite Génération identitaire ont occupé pendant quelques heures samedi matin le chantier d’une mosquée en construction à Buxerolles, à côté de Poitiers. Les manifestants souhaitaient protester contre «l’islamisation de la France». Ils ont déployé une banderole sur le toit de l’établissement portant la mention «732, génération identitaire», en référence à l’année 732 où Charles Martel a arrêté la progression des troupes musulmanes au nord de Poitiers. «Nous ne voulons plus d’immigration extra-européenne ni de nouvelle construction de mosquée sur le sol français», est-il indiqué sur le site de Génération identitaire. Here is a links to an English-language France 24 report on the issue. And for a sympathetic account, here is a story from Frontpage magazine. The second day story from Le Figaro continues in this line. « Mosquée occupée: quatre militants en garde à vue » reports that four leaders of the group of 73 young people remain in jail. On top of this news is a condemnation of their temerity in protesting against the virtues of multi-culturalism. What is wrong with this, you might ask? From an advocacy journalism perspective, nothing at all. The reader is given sufficient facts and told what to think about the incident. The voice of Le Figaro is the voice of God, or reason (this being France after all) and one must believe. The voice not being heard is that of Génération identitaire. The group has a website, and has even translated its materials and proclamations into English. Nor did Le Figaro solicit voices from the French political establishment that might agree with the viewpoint, if not the tactics, of Génération identitaire. There is nothing from the Front national, the Mouvement National Républicain or the Mouvement pour la France. Is it accurate, or fair to say that opposition to immigration is a conservative or “far right” phenomena? Have not trade unions historically been opponents of immigration? While the Front national, Mouvement National Républicain and Mouvement pour la France oppose the Islamisation of France, they do not share a common economic policy or foreign policy. The Front national is protectionist and socialist on economic issues while the other two support classical liberal economic policies — free markets. Which policy determines whether your are right wing — immigration, economics, foreign affairs? In light of the enthusiasm many newspapers felt for Occupy Wall Street, Occupy St Paul’s and other sit-in movements of the past year, I find it somewhat absurd that Occupy Poitres should receive such opprobrium in comparison to their fellow college students in New York or London. If the protest were held at a cathedral to protest the French Catholic Church’s stance on gay marriage — a live political issue in France — would Le Figaro have responded in the same way? This article fails the test of classical liberal journalism as it does not give both sides to the issue. The reader is not invited to think the issues through and come to a conclusion based upon his unaided reason, but is instructed what to believe. This is the future of newspaper reporting. Church leaders in Australia have voiced objections to new legislation to regulate entry of asylum seekers and control illegal immigration. The Archbishop of Adelaide, Dr. Jeffrey Driver – the chairman of the Anglican Church of Australia’s Refugee and Migrant Network – said he welcomed some of the reforms, but was perturbed by the underlying philosophy of the government’s “Houston Report” on asylum seekers. On 13 August 2012 a report commissioned by the government from an expert panel convened by Air Chief Marshall Angus Houston made 22 recommendations for reforming the government’s asylum policies including processing asylum seekers in Nauru and Papua New Guinea. The report, which the panel described as “hard-headed but not hard-hearted” and “realistic, but not idealistic”, also recommended increasing the current number of asylum places from 13,000 to 20,000 immediately, and expanding it to 27,000 within five years. 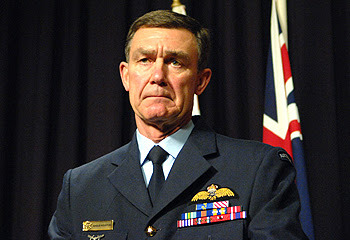 Air Chief Marshall Houston said there were no quick and easy solutions to Australia’s boat people problem, but argued the panel’s recommendations were guided by fairness and a sense of humanity. “Like all Australians we are deeply concerned about this tragic loss of life at sea … to do nothing is unacceptable,” he said. The “Houston Report’s recommendation that boat people processed on Naura and PNG’s Manus Island should be forced to wait as long as those who claim asylum through more traditional channels before they are resettled is inhumane and will be prohibitively expensive,” Dr. Driver said. “Using the fate of asylum seekers in this way to discourage people smugglers is like using the victims of crime to fight crime; it is punishing the victims in order to discourage the perpetrators,” he said. The Archbishop of Melbourne, Dr. Philip Freier welcomed the quota increase, but worried there were no guarantees that asylum seekers will not be detained indefinitely on Nauru and Manus Island. The new policies a sign of a “grave moral failure” and of a “political process that has completely lost its moorings in the Christian heritage” and were “based on a theory of deterrence. The aim is, effectively, to punish new arrivals so that when others hear about it they will be deterred from attempting the same thing. The horrifying message we are sending is that, not only are strangers not welcome here, they are risking further harm at our hands,” he argued. “A nation that is so determined to turn strangers away – to oppose the God whose mission begins with the stranger, the disadvantaged and the unwanted – cannot prosper in any way that matters,” Prof. Dutney said. Posted by geoconger in Church of England, Church of England Newspaper, Crime, Immigration, Marriage. The trial of a Diocese of Chelmsford clergyman and his accomplice on charges of immigration fraud began last week at the Inner London Crown Court. The Rev. Elwon John and Amdudalat Ladipo, an illegal immigrant from Nigeria, are accused of having conducted and facilitated approximately 200 sham marriages for a fee to assist illegal immigrants to remain in Britain. Mr. John (44) is charged with having performed the marriages in concert with the Rev. Brian Shipsides (55) at All Saints Church in Forest Gate in east London, the Crown Prosecution Service told jurors. Ms. Lapido (31) is alleged to have served as the go between the clergymen and the illegal immigrants. Mr. Shipsides entered a guilty plea at the start of the trial, while the two other defendants have pled not guilty. On March 13, 2011 the Crown Prosecution Service presented formal charges against the two clergymen and Ms. Lapido of conspiring to facilitate entry and to obtain indefinite leave to remain in the UK in breach of immigration law by allegedly conducting approximately 200 sham marriages between December 2007 and July 2010. After having received a tip that the parish church was being used to conduct the sham marriages, officers of the Metropolitan Police and the U.K. Border Agency raided the church on 31 July 2010. They found Ms. Lapido at the church, allegedly waiting to witness a marriage of friends. The defendant allegedly tried to dispose of a package she was carrying which the police recovered and found contained forged identity documents. An examination of the church’s records led to the arrest of the two priests. The trial is expected to last for four weeks. Last week Manchester vicar, the Rev. Canon Patrick Magumba, was jailed for 30 months for having conducted sham marriages at his church in Rochdale. In 2010 the Rev. Alex Brown was convicted of having conducted almost 200 sham marriages at his East Sussex church, while the vicar of St Jude with St Aidan Church in Thornton Heath, Mr. Nathan Ntege, was arrested in August 2011 on suspicion of conducting fraudulent marriages and is awaiting trial. A Manchester vicar has been sentenced to two and a half years imprisonment for immigration fraud. On 26 January 2012 the Bolton Crown Court sentenced the Rev Canon Patrick Magumba following a guilty plea entered last December on one count of conspiracy to facilitate a breach of UK immigration law and to two counts of theft. Canon Magumba, a Ugandan immigrant and the former Team Vicar for the South Rochdale Team Ministry of St Peter’s, Newbold, St Luke’s Deeplish, and St Mary’s, Balderstone, was found to have conducted 21 fraudulent marriages at St Peter’s and 10 at St Luke’s between April 2008 and February 2011. On 13 March 2011, the Archdeacon of Rochdale told the congregation of St Peter’s Church that Canon Magumba had been arrested and the rectory and church searched by officers of the UK Border Agency in connection with an investigation of sham marriages in the North West. The police investigation found the vicar had also pocketed wedding and funeral fees, diverting £5,400 from St Peter’s and £2,908 from St Luke’s. Magumba showed no emotion as sentence was passed at Bolton crown court on Thursday after he admitted carrying out 28 sham weddings. Posted by geoconger in Church of England, Church of England Newspaper, Immigration, Marriage. A Manchester vicar is facing imprisonment after pleading guilty to charges of having committed immigration fraud. On 12 December 2011 the Rev Canon Patrick Magumba entered a guilty plea before the Bolton Crown Court to one count of conspiracy to facilitate a breach of UK immigration law and to two counts of theft. 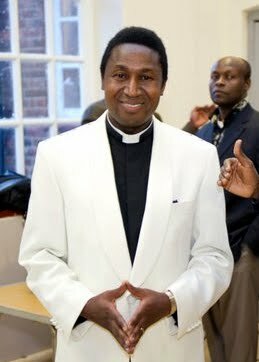 Canon Magumba, a Ugandan immigrant and the former Team Vicar for the South Rochdale Team Ministry of St Peter’s, Newbold, St Luke’s Deeplish, and St Mary’s, Balderstone, was charged with having conducted 21 fraudulent marriages at St Peter’s and 10 at St Luke’s between April 2008 and February 2011. A spokesman for the diocese confirmed Canon Magumba had been “questioned by the immigration crime team over irregularities in relation to weddings” and “following proper procedures,” Manchester Bishop Nigel McCulloch suspended Canon Magumba’s “licence to operate as a minister of religion” pending the outcome of the investigation. The police investigation found the vicar had also pocketed wedding and funeral fees, diverting £5,400 from St Peter’s and £2,908 from St Luke’s. It is not known whether these fees were the proceeds of the fraudulent weddings. Canon Magumba will be sentenced at Bolton Crown Court on 19 January 2012. Posted by geoconger in Church of England Newspaper, Immigration. Church leaders in Alabama have hailed a federal court blocking implementation of part of the state’s new immigration law. The Sept 28 ruling by Judge Sharon Blackburn “is good news,” Alabama Episcopal Bishop Henry Parsley and Methodist Bishop William Willimon said in a joint statement. The ruling “protects our churches’ ministries from prosecution under this overreaching law, and substantially protects our religious liberties,” they said. The Alabama law sought to forbid illegal aliens from residing in Alabama or holding employment in the state. It also forbad residents from providing shelter or services to illegal aliens and requires schools to report on the residency status of its students. Judge Blackburn last week upheld the requirement that state schools report the residency status of students and permitted local police to question those whom they suspected were in the country illegally. However the judged blocked sections of the law that would have made it a crime for an illegal alien to solicit work. She also struck down a regulation that would have criminalized the transportation or harbouring of illegal aliens. The bishops’ lawsuit argued this provision would have placed them in the “untenable position of verifying individuals’ immigration documentation” before providing aid to the needy. However, surveys of the US electorate have consistently shown the church’s leadership to be out of touch with its members over immigration. A Nov 2009 poll conducted by Zogby International found that 69 per cent of Roman Catholics, 72 per cent of main-line Protestants, and 78 of evangelical Protestants believed the current level of immigration was too high. Asked to choose between stricter enforcement to encourage illegal immigrants to return home versus allowing them to find pathways towards legalization in the US, overwhelming majorities favored sending illegal aliens home: Roman Catholics 64 to 23 per cent; main-line Protestants 64 to 24 per cent; and evangelicals 76 to 12 per cent. The Diocese of Southwark has confirmed that the vicar of St Jude with St Aidan Church in Thornton Heath has been arrested on suspicion of conducting fraudulent marriages. “A 52-year-old man was arrested at an address in Thornton Heath on the morning of Saturday 4 June in connection with an investigation into sham marriages in south London,” a UK Border Agency spokesman reported. A native of Uganda, Mr. Ntege is the chaplain of the Luganda Fellowship, a church organization founded in the 1970’s for Luganda-speaking Anglicans resident in greater London. Luganda-language services are held the first two Sundays of the month at St John’s Waterloo and the last two Sundays at St Jude’s. Mr. Ntege is the second Ugandan clergyman of the Church of England arrested this year on immigration fraud charges. On March 13, the Archdeacon of Rochdale told the congregation of St. Peter’s Church in Newbold, Rochdale, that their Team Vicar, Canon Patrick Magumba, had been arrested and the rectory and church searched by the UK Border Agency in connection with an investigation of sham marriages in the North West. Last week two East London clergymen, the Rev. Brian Shipsides and the Rev. Elwon John plead not guilty to conspiring to facilitate breaches of immigration law between December 28, 2007 and August 4 last year. The 200 bogus marriages were alleged by the prosecution to have taken place between EU and non-EU citizens who wished to gain right of address in Britain. Church leaders in Alabama have filed suit in a federal court in a bid to block the implementation of the state’s new immigration law. On 1 August, the Episcopal Bishop of Alabama, the Rt Rev Henry N Parsley, Jr, along with the Roman Catholic Bishops of Mobile and Birmingham, and the Methodist Bishop of Northern Alabama asked the courts to throw out the new law. “The bishops have reason to fear that administering of religious sacraments, which are central to the Christian faith, to known undocumented persons may be criminalized under this law,” the lawsuit said. The US Justice Department has also filed suit to block the implementation of the law, which is slated to go into effect on 1 September. “Setting immigration policy and enforcing immigration laws is a national responsibility that cannot be addressed through a patchwork of state immigration laws,” said US Attorney General Eric Holder in a press statement. “To the extent we find state laws that interfere with the federal government’s enforcement of immigration law, we are prepared to bring suit, as we did in Arizona,” the attorney general said. The Obama Administration’s policy of not enforcing rigorously American immigration laws has prompted a number of states to set their own immigration policies. The Alabama law forbids illegal aliens from residing in Alabama or holding employment in the state. It also forbids residents from providing shelter or services to illegal aliens and requires schools to report on the residency status of its students. It would place churches in the “untenable position of verifying individuals’ immigration documentation” before being able to provide things such as food, clothing, shelter and transportation to those in need,” the lawsuit said. “It is important to remember that the operative word in the phrase illegal immigrant is illegal,” Mr Hammon said. A preliminary hearing on the suit has been set for 24 August before the Federal District Court for Northern Alabama. The Primate of the Anglican Church of Australia has urged a rethink of his country’s illegal alien policies—urging the government to show greater compassion to asylum seekers while cracking down on people smugglers. He urged a rethink of current government policies. While he supported screening would be immigrants in their country of origin, once they arrived in Australia—by whatever means—they should be treated humanely. “That might involve putting more effort and resources in processing asylum seekers properly in overseas countries before they get into the hands of people smugglers in the first place,” he said. However, the long term solution to Australia’s illegal immigrant problem lay in building up the economies and political institutions of the migrants’ home countries. “If we invested time and energy and people and thought into helping those refugees and asylum seekers in the places they’re fleeing from, I think that would be an investment that would pay returns,” Dr. Aspinall said. Immigration is a contentious issue in Australia, with the leading political parties divided over who should be allowed to enter the country and in what numbers. Posted by geoconger in Church of England, Church of England Newspaper, Crime, Immigration. A Manchester vicar has been arrested for allegedly conducting hundreds of sham marriages to help immigrants fraudulently obtain visas. On March 13, the Archdeacon of Rochdale told the congregation of St. Peter’s Church in Newbold, Rochdale, that their Team Vicar, Canon Patrick Magumba, had been arrested and the rectory and church searched by officers of the UK Border Agency in connection with an investigation of sham marriages in the North West. Canon Magumba, a Ugandan immigrant and Team Vicar for the South Rochdale Team Ministry of St Peter’s, Newbold, St Luke’s Deeplish, and St Mary’s, Balderstone has since been released on bail. A spokesman for the diocese confirmed Canon Magumba had been “questioned by the immigration crime team over irregularities in relation to weddings. “Following proper procedures,” Manchester Bishop Nigel McCulloch suspended Canon Magumba’s “licence to operate as a minister of religion while the investigations continue,” a church spokesman told the Manchester Evening News. Last year the Rev. Alex Brown was convicted of having conducted almost 200 sham marriages at his East Sussex church, while two East London clergymen, the Rev. Brian Shipsides and the Rev. Elwon John were arrested for allegedly conducting sham marriages. On March 13, 2010 the Crown Prosecution Service presented formal charges against the two Diocese of Chelmsford clergymen of conspiring to facilitate entry and to obtain indefinite leave to remain in the UK in breach of immigration law by allegedly conducting approximately 200 sham marriages at All Saints Church, Forest Gate, between December 2007 and July 2010. The Crown Prosecution Service (CPS) said the alleged fake unions were between EU and non-EU residents. The pair will appear at Stratford Magistrates’ Court on March 18. By marrying a EU national, an immigrant is entitled to apply for permission to stay in Britain as a ‘spouse’, with access to free healthcare, education and benefits. The Archbishops of Sydney and Melbourne have called on Australians to pray for those affected by the Christmas Island refugee tragedy, and for government leaders to find a just solution to the immigration dispute dividing the government and opposition political parties. Immigration is a contentious political issue in Australia, with the major political parties split over who and how many migrants should be permitted to settle in the country. On Dec 15 a wooden boat carrying approximately 100 Iranian and Iraqi migrants was smashed on the rocks of Christmas Island off the coast of North Western Australia. Twenty-eight people were drowned, while 42 others were rescued. Immigration Minister Chris Bowen said between 70 and 100 people were believed to have been on the boat, and a number of children were among the dead and those rescued. “We must pray for families and friends who are grieving and for those injured, and the survivors and witnesses who have been traumatised by the events surrounding this tragedy,” he told The Church of England Newspaper last week. He offered the profound sympathies and prayers of Melbourne’s Anglicans “to the families of those who have suffered loss of life or injury” and also commended Prime Minister Julia Gillard for cutting short her holidays to investigate the tragedy. Dr. Freier also thanked the country’s political leaders for not politicizing the tragedy in the dispute over immigration policy. “A review of the policy of processing asylum seekers at a remote island in the Indian Ocean would also be appropriate,” the Melbourne archbishop said. Australian Federal Police are expected to charge the boat’s three Indonesian crewmen with smuggling, while prosecutors are investigating manslaughter charges. Posted by geoconger in Archbishop of York, Church of England, Church of England Newspaper, Immigration. A wedding portrait and the testimony of the Archbishop of York have proven to be the key evidence in the immigration fraud and bigamy trial of a Grimsby priest. Last week a jury at the Hove Trial Centre in East Sussex found the Rev. Samuel Bisaso and his wife, Rebecca Muwonge Bisaso, guilty of staging an elaborate fraud involving stolen identities and a bigamous marriage to procure British residency. The Archbishop of York, Dr. John Sentamu was called to give evidence in the trial, testifying he had married the couple at his South London parish in 1996. 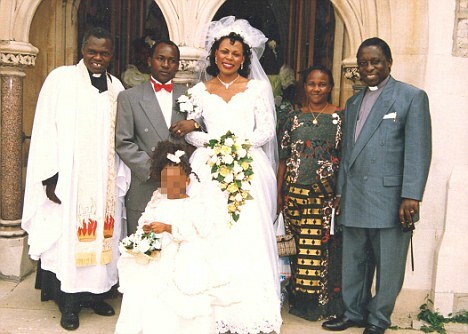 On July 27, 1996, Mr. Bisaso, a theology student at the University of Gloucestershire, married fellow Ugandan Rebecca Muwonge at Holy Trinity Church in Tulse Hill, Lambeth, South London in a ceremony conducted by Dr. Sentamu. Mr. Bisaso told the court the marriage did not work out, and he returned to Uganda. In 1998 he returned to the UK, and married ‘Proscovia Nakamya’ at the Newham Register Office. However, prosecutors stated this second marriage was with the same woman whom he married in 1996, and that Mrs. Bisaso had assumed the identity of her 18 year old niece–a British subject–for the ceremony. Dr. Sentamu testified via videolink on Nov 29 that he had been acquainted with Mr. Bisaso’s father in Uganda, and that Mr. Bisaso had attended his parish in 1996, and that he had ordained him on behalf of the Church of Uganda in 2002. “You have to be very careful. You need to see the full documentation. With anyone who is not a British citizen I have to make sure I am working within the rules,” Dr. Sentamu said. At the trial, Mrs. Bisaso maintained the 1996 marriage was between her husband and another woman, and that she had first married the defendant in 1998. However, a wedding portrait from the 1996 service seized by police during a search of their Grimsby home contradicted her testimony. Mr. Bisaso was convicted of two charges of obtaining leave to remain in the UK by deception while his wife was found guilty of two offences of assisting unlawful immigration. Sentence will be handed down by the court in January. Posted by geoconger in Church of England Newspaper, House of Bishops, Immigration. Episcopalians should offer “material and spiritual support to undocumented workers and their families, wherever possible, and should expect that they will continue to receive medical attention and police protection as needed,” the bishops said. 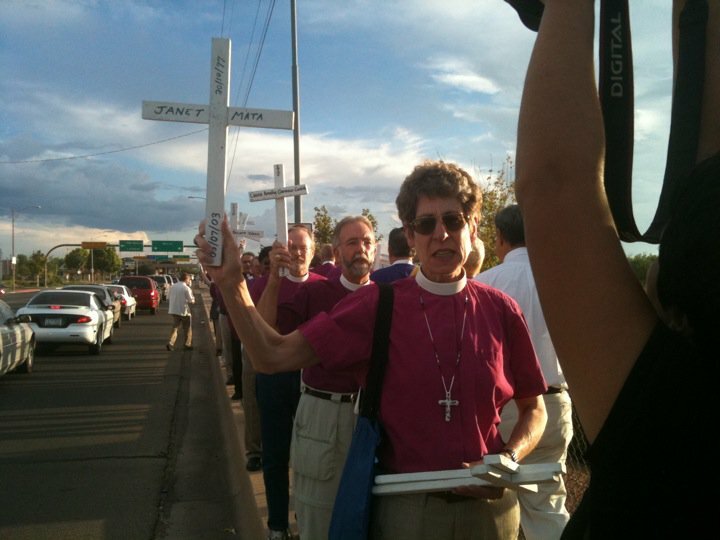 Before the start of the bishops’ Fall meeting, Presiding Bishop Katharine Jefferts Schori took a group of 30 bishops and their spouses to the Arizona-Mexico border, and staged a march to protest the deaths of illegal aliens who had died in the desert while attempting to cross into the United States. The desert sojourn helped the bishops “to reduce both our own caricatures and prejudices” about illegal immigration “and maybe do the same for others,” Bishop Jefferts Schori said. Posted by geoconger in Church of England, Church of England Newspaper, Immigration. The Bishop of Leicester has urged members of the Church of England to boycott an Oct 9 rally by the English Defence League (EDL), saying the gathering will inflame interfaith relations. The EDL will gather this Saturday in Leicester to protest growing Islamist extremism in England and what it sees as the government’s subservience to a foreign ideology. However, on Sept 28, Bishop Tim Stevens and the Leicester Faith Leaders Forum condemned in “the strongest terms” the planned rally. “Over the years, the faith groups have said an attack on one is to be regarded an attack on us all. The EDL’s tactic is to single out the Muslim community and we are clear that will not be allowed to happen in Leicester because we are all standing together in solidarity,” Bishop Stevens said. Last month the Leicester City Council asked the Home Office to ban the rally, which is expected to draw 5000 supporters. The Leicestershire Police have argued the rally will post a “major threat” to public order, with clashes expected between supporters of the EDL and left wing groups. The Home Office has so far declined to ban the gathering. “The English Defence League has a right to express its views, no matter how distasteful they are,” Bishop Stevens said. “We shall all be saying to our congregations ‘don’t be drawn into this, let the EDL say what they have to say and we can then move on’,” the interfaith statement signed by the bishop said. Church leaders in Australia have denounced government plans to tighten the nation’s borders and suspend asylum applications from Sri Lanka and Afghanistan for three and six months respectively. Last week the Primate of Australia, Archbishop Phillip Aspinall of Brisbane wrote to Prime Minister Kevin Rudd asking that he not politicize immigration. However the decision of the Labor government to toughen its stance on immigration has strong popular support from voters, and may bolster the government’s sagging fortunes. He charged the government with violating the UN Convention on Refugees, which bans discrimination in the treatment of asylum seekers based on country of origin. “Given that this decision appears related specifically to asylum seekers from particular countries, I believe that it is at odds with that Convention,” he said. However 62 per cent of Australians backed the return to tougher immigration policies espoused by former Prime Minister John Howard and his Liberal Party, a Herald/Nielsen poll found. ”A majority of Australians are likely to support policies presented as tough and uncompromising and are less likely to support policies perceived as soft,” said a Nielsen pollster, John Stirton. Opposition immigration spokesman Scott Morrison said that a coalition government of the Liberals and the National Party would limit a refugee’s stay in Australia to three years, and would require refugees to work for their welfare benefits. Politics aside, Dr. Aspinall said the priority for Christians was to show compassion to the “strangers in our land” and to “love the alien as yourself”. Australia needs fewer babies but more immigrants a discussion paper prepared by the Anglican Church of Australia’s Public Affairs Commission (PAC) for debate at the September meeting of General Synod has suggested. The PAC argued that it was a Christian’s duty to consume less, spend less, and have fewer children. “Consumption and population need to be addressed, and very sensitively, given the benefits received by rich nations from their use of global resources,” the paper said, warning that “unless we take account of the needs of future life on Earth, there is a case that we break the eighth commandment – ‘Thou shalt not steal’,” the PAC paper said. However, fewer children will likely result in lower standards of living and higher taxes for future generations of Australians, statistics released in the government’s 2010 Intergenerational Report show. The Anglican Church’s foray into demographic predictions comes amidst the “big Australia” debate initiated by Prime Minister Kevin Rudd last year over the country’s optimum population. In a television interview in October, the prime minister was asked to comment on statistics released by the Treasury’s 2010 Intergenerational Report that predicted the population would rise from 22 million in 2010 to 39.5 million by 2050. The Treasury’s 2007 report had estimated a population rise from 21 million to 28.5 million in fifty years. Asked to comment on the “60 per cent increase in Australia’s population over the next four decades,” the prime minister said “I actually believe in a big Australia. I make no apology for that. I actually think it’s good news that our population is growing. ”Contrast that with many countries in Europe where in fact it’s heading in the reverse direction. 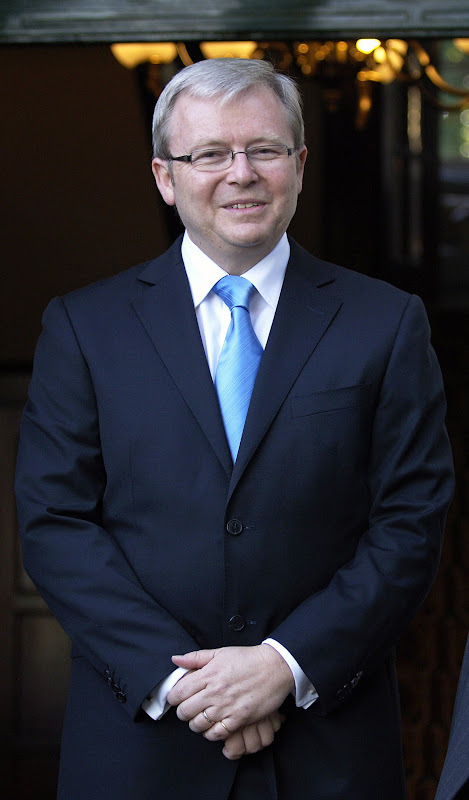 I think it’s good for us; it’s good for our national security long term; it’s good in terms of what we can sustain as a nation,” Mr. Rudd said. Mr. Rudd added that it was the “responsible course of government policy” to prepare for this rise, and last month appointed Tony Burke as Australia’s first Population Minister. The opposition has responded to the “big Australia” plan by calling for a cut in immigration, estimated at between 180,000 and 300,000 per year. The PAC paper takes issue with both sides of the political debate, calling for the elimination of the baby bonus—a government grant in aid for new mothers–while urging a relaxation of immigration restrictions. “These population increases will be taking place in a finite world that has not yet been able to agree on reducing greenhouse gas emissions enough to avoid potentially catastrophic temperature increase and climate change,” the paper said, alleging that Australia would see widespread ecological degradation with a 60 per cent population rise. “Out of care for the whole Creation, particularly the poorest of humanity and the life forms who cannot speak for themselves, it is not responsible to stand by and remain silent,” the paper said. The PAC paper urged the government to increase certain categories of immigration. “Compared with total immigration, humanitarian migration into Australia has been very small – about 14,000 per year, but of these only about 4000 to 6000 were refugees by the United Nations’ definition. There is scope for Australia to respond more generously in humanitarian immigration,” it concluded. The Treasury’s 2010 Intergenerational Report projected the number of children to increase by 45 per cent and the number of working adults to increase by 44 per cent. However, the number of older people, 65 to 84 will double, and number of those over 85 will quadruple. Unless there is a greater increase in the number of children or working immigrants, the social care net established by the government will face severe economic pressures, the Treasury report stated. “In 1970, there were 7.5 people of working age to support every person aged 65 and over. By 2010 this has fallen to an estimated 5 people of working age for every person aged 65 and over. By 2050 the number is projected to decline to 2.7 people of working age to support every person aged 65 and over,” the report said. The official stance of the Episcopal Church on immigration is not representative of the belief of the people in its pews, a survey conducted on behalf of the non-partisan Washington think tank, the Center for Immigrations Studies (CIS) reports. The survey of over 42,000 Roman Catholics, mainline Protestants, evangelical or born-again Protestants, and Jewish voters found a sharp disconnect between the official stance of their religious communities and the beliefs of individual members. “Because religious communities often do not represent the public policy views of their members, if there is a full-blown immigration debate next year, it will be all more contentious,” Steven Camarota of the CIS said. While religious leaders have pressed the government to relax the country’s immigration laws, permitting more immigration and providing opportunities for existing illegal immigrants to gain citizenship, an overwhelming majority of American religious voters believe the current level of immigration is too high and favour stricter enforcement of current laws. One out of eight US residents, or 38 million people, are immigrants, while over the past decade 1.5 million legal and illegal immigrants have settled in the US each year. A supporter of the Interfaith Statement in Support of Comprehensive Immigration Reform, the Episcopal Church has backed “comprehensive immigration reform,” which calls for a significant increase in the number of legal immigrants to the United States. In a poll conducted on behalf of the CIS by the Zogby International in November, voters surveyed were asked to identify their religious beliefs and to respond to eight questions on immigration policies in the United States. In contrast to many religious leaders, most members think immigration is too high. Among Roman Catholics: 69 per cent said immigration is too high, 4 per cent said too low; for Mainline Protestants including Episcopalians: 72 per cent said it is too high, 2 per cent said too low; while 78 per cent of evangelical or born-again Protestants said it is too high, 3 per cent said too low. Religious voters also reject the proposition that more unskilled workers are needed to do the work that Americans will not do. Over 69 per cent of Roman Catholics, 73 per cent of Mainline Protestants, and 7 per cent of evangelicals said there was a need to increase immigration to fill unskilled jobs. Pluralities of religious voters believe that stricter enforcement of current laws is the proper way forward. Asked to choose between stricter enforcement to encourage illegal immigrants to return home versus allowing them to find pathways towards legalization in the US, overwhelming majorities favored sending illegal aliens home. Roman Catholics 64 to 23 per cent; mainline Protestants 64 to 24 per cent; and evangelicals 76 to 12 per cent. Camarota said that while the findings were “stark” there were “not so surprising.” “Voters have always been skeptical of high levels of immigration and opposition to legalization is long-standing, as the debates over “comprehensive immigration reform” in 2006 and 2007 made clear,” he said. Church leaders often “identify strongly with the plight of illegal immigrants and people in other countries who wish to come here” and “make it plain that they believe that legalization is the only moral option,” yet they “do not themselves face foreign job competition,” Camarota said. Posted by geoconger in Anglican Church of Aotearoa New Zealand & Polynesia, Church of England Newspaper, Immigration, Persecution. New Zealand’s has granted asylum to an Iranian convert to Christianity, holding that Ali Panah would likely face persecution for his religious beliefs if forced to return to Iran. On Feb 13 the Refugee Status Appeals Authority ends Panah’s five year fight to avoid deportation to Iran, and also overturns earlier New Zealand court rulings which implied that Christian converts from Islam were not persecuted by the Iranian government. The Iranian apostasy law likely swayed the court in Panah’s favour, as two other appellate courts have backed the government and its claim that Iran does not persecute Christian converts. While skeptics have questioned Panah’s conversion, claiming it was an act of expediency, the Anglican Church of New Zealand has backed Panah, offering him shelter and support throughout the proceedings. Archbishop Moxon along with Anglicans close to the Mr. Panah have vouched for the veracity of his conversion. Posted by geoconger in Church of England Newspaper, Immigration, Politics, Waldensian Church. Prime Minister Silvio Berlusconi’s anti-gypsy campaign is un-Christian, Italian Protestant leaders have claimed, and have called for the government to soften its crackdown on illegal immigration. Posted by geoconger in Anglican Church of Aotearoa New Zealand & Polynesia, Church of England Newspaper, Immigration. The asylum appeal of an Iranian convert to Christianity has been rejected by the New Zealand government. Lawyers for Ali Reza Panah told Radio New Zealand on April 1, the Immigration Service had turned down Panah’s appeal and would begin deportation proceedings. Panah has been held in administrative custody for 20 months for refusing to sign papers that could lead to his expulsion and had staged a 52 day hunger strike before being paroled into the custody of the Anglican Church of New Zealand. He has won the backing of Archbishop David Moxon who pleaded for the government to exercise clemency on his behalf. However, legislation brought by the government of President Mahmoud Amadinejad before the Iranian Majlis in February seeks to impose the death penalty for apostates from Islam. The Washington think tank, the Institute on Religion and Public Policy reported on Feb 5 the proposed “Bill for Islamic Penal” law will be the first time that Iran has by statute mandated the death penalty for conversion from Islam. Posted by geoconger in Church of England, Church of England Newspaper, Immigration, Multiculturalism. The Bishop of Leicester has questioned the utility of holding ceremonies for school-leavers to swear an oath of allegiance to Queen and country. The March 11 report commissioned by Prime Minister Gordon Brown on British citizenship recommended the creation of a British national day, citizenship ceremonies for young people, reforming the treason laws, and loans to immigrants to help pay the cost of English language classes. The report’s author, the former attorney general Lord Goldsmith said holding an allegiance ceremony would help young people strengthen their sense of Britishness. “Certainly there isn’t a crisis of national identity, but the research does tend to show there’s been a diminution in national pride, in this sense of belonging,” he told BBC Radio 4’s Today programme. “The citizenship ceremonies, which are just one of the many things I have suggested, are a way of marking that passage of being a student of citizenship to a citizen in practice, Lord Goldsmith said. “It does make sense to promote a sense of shared belonging, a sense that you are part of a community with a common venture, to integrate better newcomers to our society and be clearer about what the rights and responsibilities are,” the former attorney general explained. While he applauded the Lord Goldsmith’s motives, his conclusions were misplaced, Bishop Stevens said, as a ceremony would do little to foster national pride. “We shall recover confidence in our national identity if we learn to be proud of our young people and recognise the contributions they are making. That will do more to make them feel British than any act of allegiance,” he said. THE BISHOP of London has intervened in the case of a 19-year-old student threatened with deportation to Nigeria. The Rt Rev Richard Chartres last week wrote to Home Secretary Jacqui Smith asking her to overturn a deportation order for Damilola Ajagbonna, who has been living in Britain since the age of 11. Posted by geoconger in Anglican Church of Southern Africa, Church of England Newspaper, Immigration, Politics, Zimbabwe. A POLICE raid on a church in Johannesburg sheltering refugees has drawn sharp protests from civil society and church leaders in South Africa, and has highlighted the humanitarian crisis in President Robert Mugabe’s Zimbabwe. On Jan 30 approximately 100 officers of the South African Police Service with the support of Home Affairs ministry officials entered Johannesburg’s Central Methodist Mission, rounding up approximately 1500 Zimbabwean refugees shelter in the building. Read it all in The Church of England Newspaper’s Religious Intelligence section. Posted by geoconger in Church in Wales, Church of England Newspaper, Immigration. The Bishops of the Church in Wales have asked the Border and Immigration Agency to reconsider its deportation of a Ghanaian woman being treated for cancer in Cardiff. Last week the government put Ama Sumani, a 39 year old women being treated for malignant myeloma at the University Hospital of Wales in Cardiff, on a plane for Accra after she overstayed her visa. Dr Barry Morgan, Archbishop of Wales, said: “You cannot follow the letter of the law when it comes to immigration because we are dealing with individual human beings, not commodities. “There has to be room for flexibility of rules, a consideration of a person’s dignity, self-respect and basic human rights. We need to exercise compassion and understanding and act appropriately for each case,” he said on Jan 17. Ms Sumani entered the UK on a student visa in 2004. However upon arrival in Britain she took up employment and neglected to inform the authorities of her changed status, breaking the terms of her visa. However the medical journal The Lancet denounced the government decision, saying the forceable return to Ghana of the cancer patient, who could not receive the same degree of care in her home country, was an “”atrocious barbarism”. However British and EU courts have held that deportation can only be stopped in “very rare and extreme cases” under the article of the human rights convention which bars inhuman or degrading treatment, Ms. Homer said. “The standard of medical care in this country and the access to it is sufficiently higher than in so many countries, not just Third World or developing countries,” she told Parliament. “If we vary from that point there are many, many tens of thousands who would” seek to come to Britain. Posted by geoconger in Church of England Newspaper, House of Lords, Immigration. THE ARCHBISHOP of York and the Bishop of Winchester have endorsed Lib-Dem Home Affairs spokesman Lord Avebury’s call to give asylum seekers the benefit of British civil liberties and greater access to legal protections. US Presiding Bishop Katharine Jefferts Schori has urged American Episcopalians to lobby their government to implement immigration reform. In June a bi-partisan bill backed by the White House that would have granted amnesty to several million illegal immigrants collapsed in the wake of vociferous public criticism. Immigration reform “is going to have to wait until we get a new president and a new Congress,” said Harry Reid of Nevada, the Senate Democrat majority leader. Posted by geoconger in Church of England, Church of England Newspaper, EU, Immigration, Multiculturalism. Incidents of racially and religiously motivated crime have risen sharply across Europe, an EU report on Racism and Xenophobia said last week, with the latest figures showing a rise of 6.7 percent in England and Wales, and 11.3 percent in Scotland. “Racist violence and crime remain a serious social ill across Europe”, the EU’s Fundamental Rights Agency said in its Aug 27 report, which analyzed discrimination in employment, housing and education across the 27 Member States. The full extent of the problem remains unknown, however, as only two countries, the UK and Finland report comprehensive crime statistics in accordance with the EU’s Racial Equality Directive. Only 11 of the 27 countries collect data on racial and religious crime. Of these, the UK, Germany, Denmark, France, Slovakia, France and Ireland reported a rise and Austria, Sweden and the Czech Republic showed a decrease in race crimes. The EU report said national data from most countries “remains unsatisfactory,” and noted that the definition of race crime differed from country to country. In 2006 Greece, Spain, Italy, Cyprus and Portugal reported no racist crimes; ten states provided “limited” statistics, while ten were identified as providing “good” data. “As a stark illustration of the difference in awareness and the variation in data collection policies, the UK collected more reports of racist crime in a 12 month period than the other 26 Member States combined,” the EU report said. Britain’s definition of racial and religious crime also differed from other EU Countries. In the wake of the Lawrence inquiry the definition of a “racist incident” is based upon the “victim’s initial interpretation of an incident centre-stage” rather than upon police investigation or reporting, the EU report said. Between April 2004 and March 2005, 57,902 racist incidents were reported to the police, of which 37,028 were officially recorded. Last year the Crown Prosecution Service received 7,430 cases and prosecuted 6,123 racially motivated crimes and 41 religiously motivated offences. Unemployment among immigrants and minorities remains significantly higher than for the majority population, the report concluded, while discrimination over housing continues to be one of the main sources of complaints to anti-discrimination authorities. The EU findings track conclusions reached by General Synod’s 15-member Committee for Minority and Ethnic Anglican Concerns (CMEAC) which concluded the Church of England remained institutionally racist. CMEAC’s report, Present and Participating – A Place at the Table, acknowledged that while some dioceses had sought to address the problems, the Church’s current structures still alienated many black and Asian people. He likened the climate of the Church of England to a smoke filled room. “You could go into a room when people have been smoking and there isn’t anybody you can see in sight who’s smoking, and you know there has been smoking. That’s what I call institutional racism: you know there are some behaviors that are unacceptable, but you can’t quite pinpoint anybody who’s done it,” he said. An Iranian asylum seeker has been discharged from state custody into the care of the Anglican Church of New Zealand, following a 52 day hunger strike. 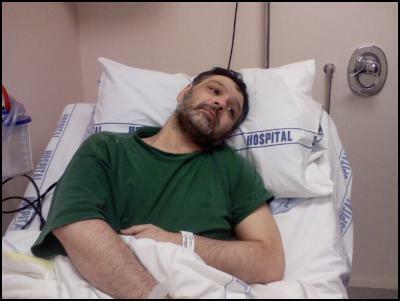 Immigration Minister David Cunliffe announced the government had given Ali Panah, a convert to Christianity, his parole from Auckland Central Remand Prison on Sept 3 due to his “parlous” physical state, but stated he could be deported at any time. On Sept 2, Archbishop David Moxon of New Zealand, and the head of the church’s social justice commission, the Rev. Anthony Dancer visited Panah in prison. They stated that although “some in authority” had questioned whether “Ali Panah is a bona fide Christian”, they were convinced of the truth his faith. “Mr. Panah is still subject to a removal order and could be removed at any time, if and when that becomes possible,” he said. Panah has been held in administrative custody for 20 months for refusing to sign papers that could lead to his deportation from New Zealand to Iran. He has won the backing of the Anglican Church of New Zealand, which has pleaded for the government to exercise clemency on his behalf. The Iranian asylum seeker had exhausted his legal avenues of appeal, the government minister said. One review panel found Panah’s claims “implausible and inconsistent” while a second said his evidence had been “fabricated and found him not to be credible”. Mr. Cunliffe said the Church was not in possession of the “full facts” of and urged it to review the matter more closely. Racial Justice Sunday 2007 will develop the theme of “People on the move” by examining past and present mass movements of people including the Trans-Atlantic Slave Trade, asylum seekers, refugees and economic migrants. Churches Together in Britain and Ireland is the umbrella body for all the major Christian Churches in Britain and Ireland. It liaises with ecumenical bodies in Britain and Ireland as well as ecumenical organizations at European and world levels. Its work includes Church Life, Church and Society, Mission, Inter Faith Relations, International Affairs and Racial Justice. Posted by geoconger in Anglican Church of Aotearoa New Zealand & Polynesia, Church of England Newspaper, Immigration, Iran. NEW ZEALAND’S Anglican Archbishops have issued an appeal for clemency for a failed asylum seeker who risks deportation to Iran. On Aug 17 Archbishops David Moxon and Brown Turei called upon the government to grant Ali Panah refugee status. A convert to Christianity from Islam, Panah faces grave risks if returned to Tehran, the Archbishops said. Panah has been held by the New Zealand government in administrative detention for 18 months, and began a hunger strike over 40 days ago to protest about his pending deportation. “There is a need for the Government and its officials to take more seriously the concerns about the ongoing persecution of Christians in Iran,” and to grant clemency to Ali Panah. Immigration Minister David Cunliffe last Monday said the hunger strike had had the benefit of the ‘full rights of the law in respect of his refugee claim and appeal,’ but declined to state whether he was considering granting him a temporary visa. The populist New Zealand First party’s immigration spokesperson Peter Brown on Aug 17 urged the government not to grant Panah asylum. Some asylum seekers were trying to “rort the system” by converting to Christianity, he said. “While some may have genuinely found Christianity, it appears somewhat convenient that others have converted to Christianity during the refugee claims and appeal process. Posted by geoconger in Archbishop of Canterbury, Church of England Newspaper, Immigration, Multiculturalism. ETHNIC DIVERSITY and immigration fragments communities and reduces social cohesion, a forthcoming study by a Harvard political scientist has found. The preliminary results of the five-year study by Robert Putnam, author of Bowling Alone, published in the June issue of the Scandinavian Political Studies reports that high levels of immigration results in a reduced social capital of decreased trust, altruism and community co-operation. BRITAIN’S immigration and asylum laws were “unjust, inhumane, ignorant and thoughtless” the Bishop of Winchester told the House of Lords during the second reading of the UK Borders Bill 2007 on June 13. However, the legislation proposed by the government, if not amended, would worsen the situation, Bishop Michael Scott-Joynt said. BRITAIN is undergoing a “crisis of identity” and must forge a common ethos and citizenship, the leader of the House of Commons, Jack Straw, has argued. However, a British identity that is not informed by the Christian religion will not survive the tests of the modern age, the Bishop of Rochester Michael Nazir-Ali told The Church of England Newspaper.